What a great way to start the season, with an incredibly down to earth couple. 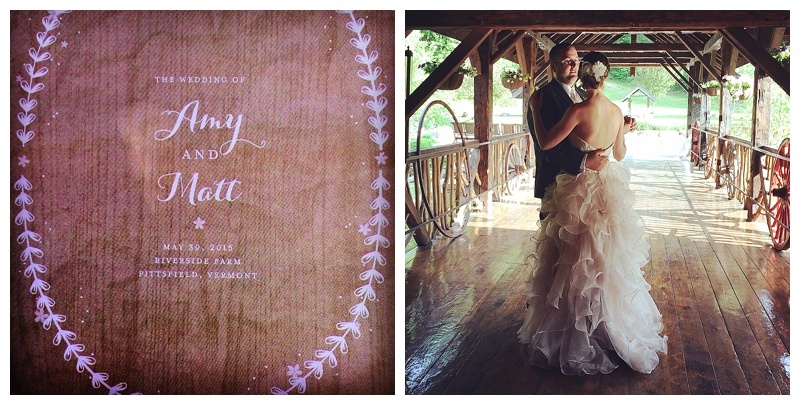 Amy and Matt were fun and easy going and made the most of their time here at Riverside Farm with friends and family. 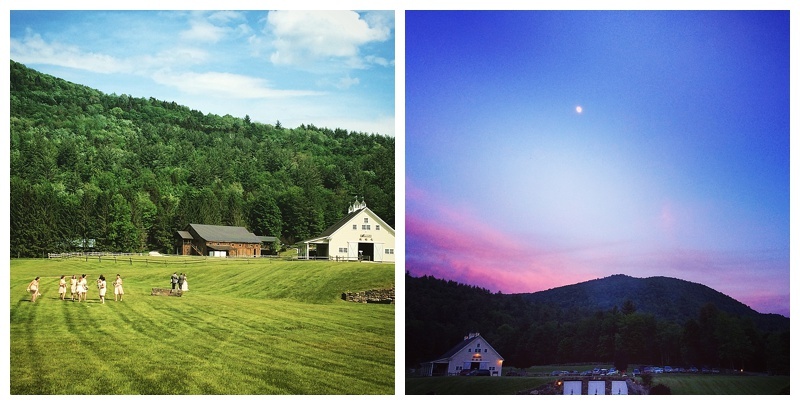 The group took full advantage of our Vermont location and spent tons of time outside playing lawn games, hiking and just being. It almost seems old fashioned, but it was incredibly sweet when Matt and Amy took the time to visit EVERY table at the reception dinner so they could chat with each of their guests. 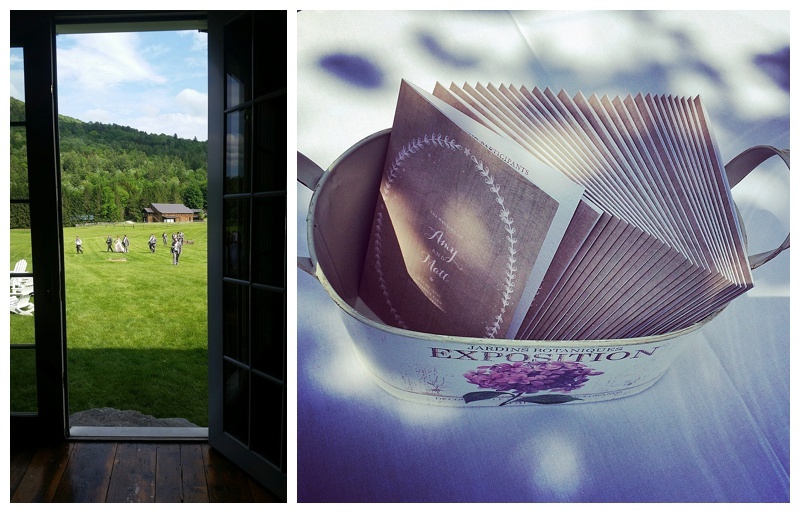 One of our favorite, and unique, wedding touches: their thank you gift of roast coffee beans! A gift with a story, as Matt used a bag of coffee from the very same shop to hide and transport their engagement ring before he proposed.